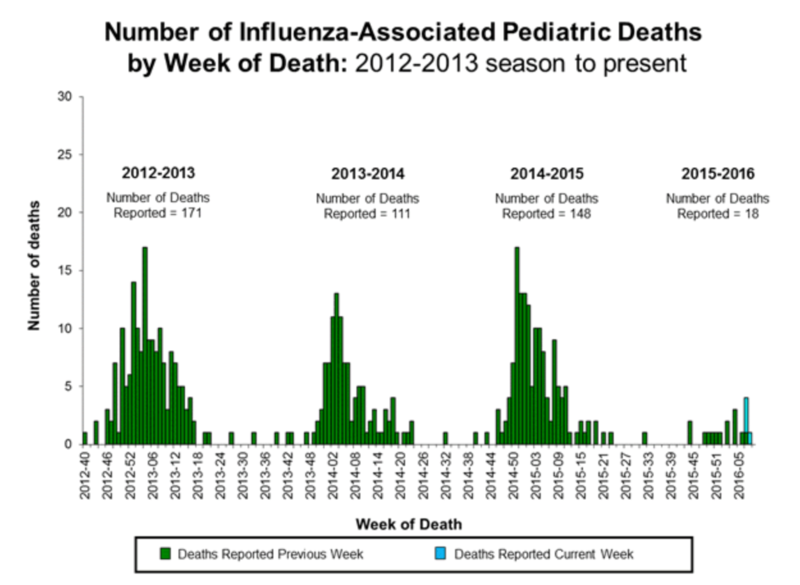 In the USA, we’re nearing the heart of the flu season, with pediatric flu deaths peaking during the next 6-8 weeks. Flu mortality during the 2015-16 season (which generally starts on October 1), the CDC has reported that there have been 18 pediatric flu deaths through 27 February 2016, an increase of 4 from last week. Now, I know some of you may say “only 18,” but since pediatric flu is mostly prevented with a vaccine, we could prevent these deaths. During the last 3 years, there were 171 pediatric flu deaths in 2012-13, 11 in 2013-14, and 148 in 2014-15 – most of the pediatric flu deaths happened after this week. CDC report of Pediatric flu deaths through 27 February 2016. Pneumonia and influenza (P&I) mortality, combined because it’s often difficult to separate pneumonia deaths from diagnosed influenza deaths, remains quite high. For the week ending January 27 February 2016, P&I was determined to be the cause of7.4% of all deaths in the USA. This percentage was above the epidemic threshold of 7.2% for week 8. As I’ve written before, the CDC and other national public health organizations, along with the World Health Organization, meet, usually in February prior to the next flu season, and try to ascertain which flu variants may be the most prevalent in the upcoming year. This process is called the “match”, where all the world public health organizations attempt to figure out which flu mutation will be prevalent. Because flu viruses mutate frequently (if those evil pathogens wouldn’t mutate, we’d have lifelong immunity to the flu), the “match” their best ideas on which strains of flu will be most prevalent in the upcoming flu season. They are not throwing darts at a dartboard, they compile the best evidence which strains have mutated enough and may be pathogenic enough that they should be included in a vaccine. Some mutations aren’t that serious, and prior year’s immunity may prevent infection from flus with small changes. The match has to be done so far in advance, because flu vaccine manufacturers require substantial lead time to develop, test, manufacture and distribute the vaccine – sometimes a mutation in a flu strain may occur after the match meeting, and a virulent mutated strain isn’t included in the new vaccine. Obviously, it’s doing a better job than last year. 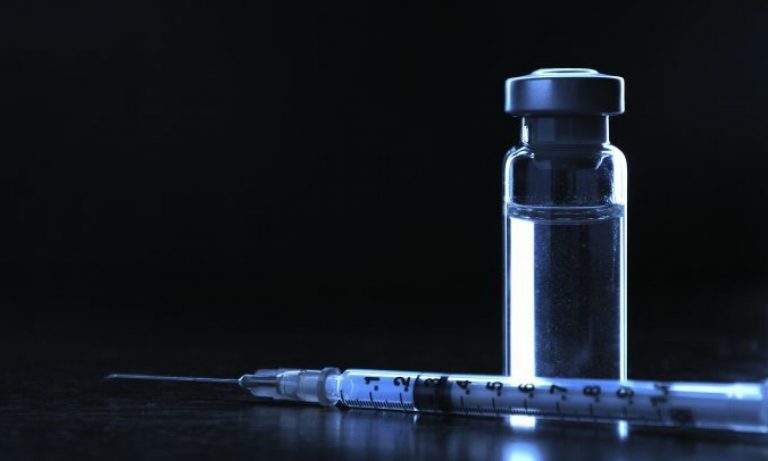 Interestingly, the 2016-17 flu vaccine antigen “match” has already been completed, and flu vaccine manufacturers are beginning to make a new vaccine for the next season. Hopefully, it will work even better. So let me remind you once again – the flu vaccine saves lives.